Lee from iprestige.co.nz sent me this pic and it reminded me of my favourite matchbox cars. Some of which I still have somewhere ready for my future kids (and me) to play with. The angles and the silver and black wheels bring back memories of zooming them across the carpet, couch, bed or anyone who happened to be lying in the way. 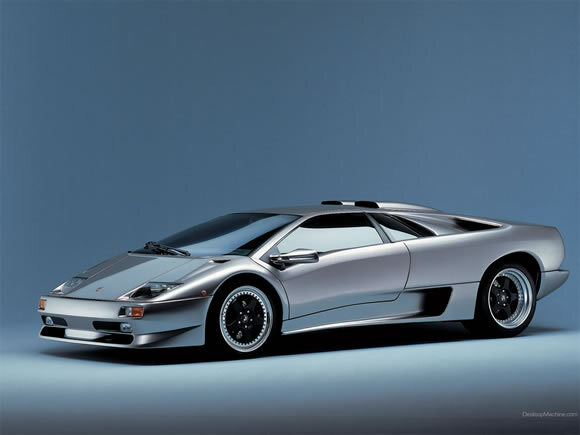 The Lamborghini Diablo was built around a huge motor and I remember seeing one, actually three of them, for the first time and being blown away by the massively wide rear end and the tiny cockpit where you sat to 'guide' the thing. The three Diablo's I saw were a SV, SE30 and a VT. Incredible cars based around a 5.7 litre V12 producing 492hp. By the time the production finished in 2001 was a 6.0 litre producing 550hp with a top speed over 200mph. Beautiful cars that are still head turners today.